qmail is a mail transfer agent (MTA) that runs on Unix. It was written, starting December 1995, as a more secure replacement for the popular Sendmail program. 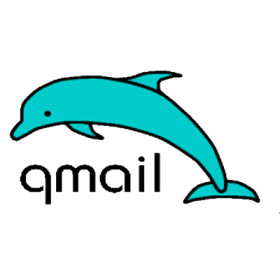 qmail is a modern SMTP server which makes sendmail obsolete. qmail's source code is in the public domain. It is also free software. Secure: Security been the most important feature while developing qmail. It was written to overcome the security holes in sendmail and other MTAs. Reliable: qmail's straight-paper-path philosophy guarantees that a message, once accepted into the system, will never be lost. 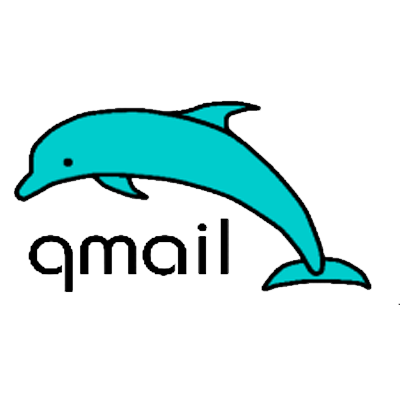 qmail also optionally supports maildir, a new, super-reliable user mailbox format. Maildirs, unlike mbox files and mh folders, won't be corrupted if the system crashes during delivery. Efficient: On a Pentium under BSD/OS, qmail can easily sustain 200000 local messages per day. Although remote deliveries are inherently limited by the slowness of DNS and SMTP, qmail overlaps 20 simultaneous deliveries by default, so it zooms quickly through mailing lists. Simple: qmail is vastly smaller than any other Internet MTA.